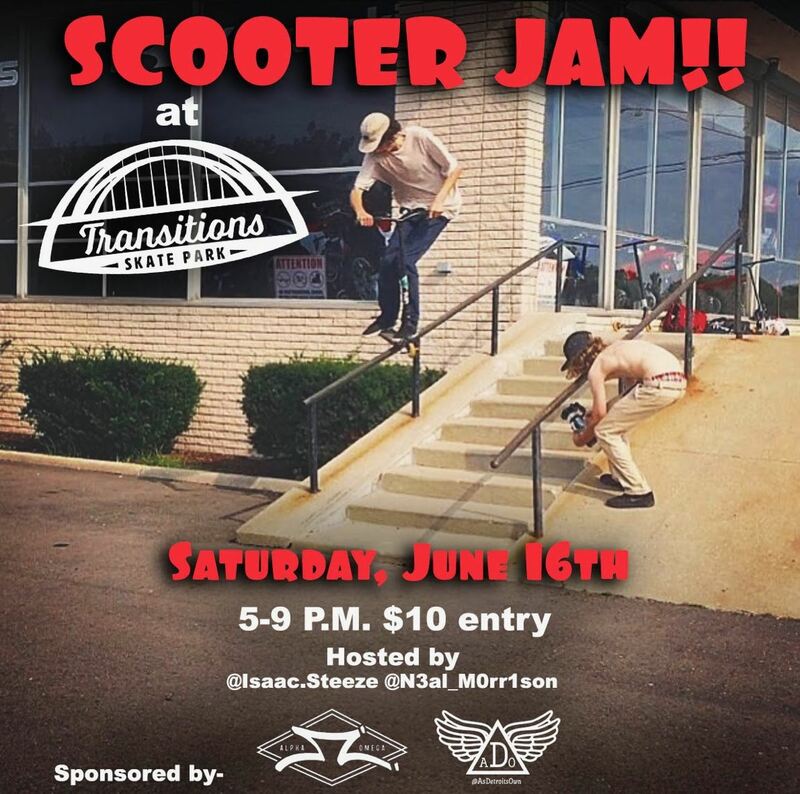 Come out to the park on the evening of Saturday, June 16 for a scooter jam and contest, hosted by Isaac Short and Neal Morrison. All skill levels are welcome! $10 entry. Hope to see you all there!